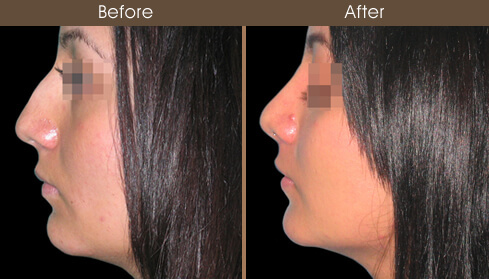 19-year-old female underwent nose reshaping (rhinoplasty). 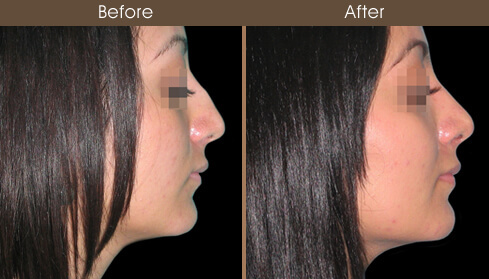 She was concerned that the bony portion of her nose appeared wide and flat with a bump seen on profile. In addition, she felt that her tip was droopy on side view and wide when seen from the front. 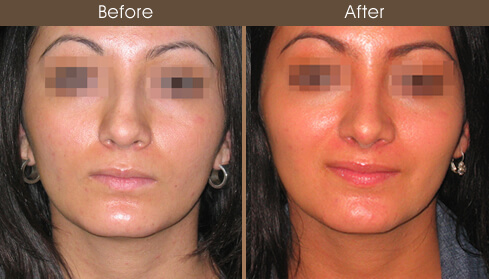 The procedure involved an open approach rhinoplasty. The bump was shaved down and the bony component was narrowed. The nasal cartilage was shaped and refined.